Miss Dee Clothing presents it third collection "MIXED CULTURE" which will be available from today 25th June, 2012. 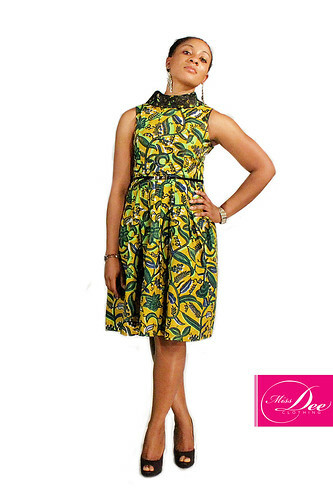 Miss Dee Clothing is an online boutique that specializes in using ethnic prints and other fabrics to design beautiful and affordable ready-to-wear attires for both men and women, The ‘Mixed Culture’ collection is made up of bits and pieces of different fabrics. 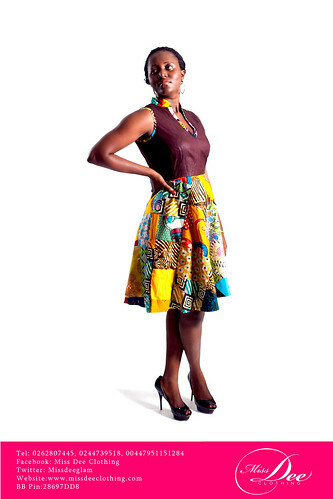 These fabrics are made up of Miss Dee’s signature ethnic prints, chiffon and linen in addition to other plain but colorful fabrics simply designed to be chic and wearable to meet the style expectations of the Miss Dee Woman. The collection features knee-length cocktail dresses, corporate wears with a touch of ethnic prints and casual attires like skirts and jumpsuits. To order a Miss Dee, visit our facebook page: www.facebook.com/pages/Miss-Dee-Clothing/101916089902710 , website: www.missdeeclothing.com or through telephone order on 00233244739518/00233262807445(GH), 00447415558013 (UK). Miss Dee delivers to every part of Ghana and also sells in the United Kingdom and the rest of Europe from London. Angie Collections on the Spintex Road in Accra will also begin to stock Miss Dee from July 1.